The holidays can bring so much loveliness. They can also bring social pressure, overwhelm, consumerism, and guilt. Here, we share our best advice on coming through this season with your sanity and sense of inner peace intact. There’s so much merriment, so much anticipation, and yet … the holidays can also feel like a lot of pressure to perform, to conform, to consume. Here, we share our thoughts on navigating this season with your sanity and sense of inner peace intact. From challenging the shop-and-spend cycle, to speaking your truth without inciting unnecessary conflict, we advocate for creating a satisfying holiday experience — your way. And of course, we offer you some experiments to get you started in that direction, even as the holiday madness kicks into full swing. P.S. 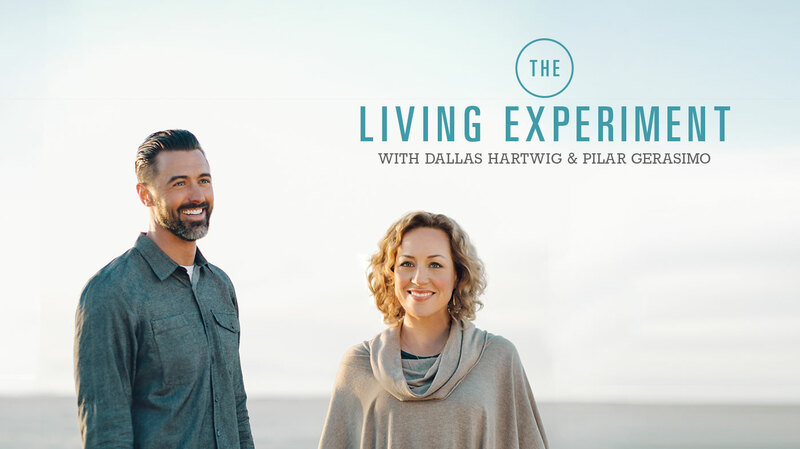 We also happily announce our new sponsorship by Experience Life magazine, and the special, discounted subscription offer and free e-newsletters now available to The Living Experiment listeners. Feel free to indulge in some unhealthy seasonal treats, but not just because they are there. Pick only those foods that offer a truly rich physical or emotional-social experience. Consciously design a pleasurable, beautiful experience that is just for you. It could be decorating your home, taking a candle-lit hot bath, having an electronics-free evening, or making a special meal or drink. It shouldn’t be expensive or consume a lot of time. Revel in the experience and note how much satisfaction it brings. Have you told your friends and family about The Living Experiment? If you dig the podcast, please share it! Every recommendation from you means a lot. “Reinventing Traditions,” an article about the opportunities we have to revise long-standing rituals, and “The Six Best Gifts You Can Give Your Partner“, also via Experience Life. Listen to more healthy holiday recommendations from Pilar on Dara Moskowitz Grumdahl’s WCCO Radio Show, Off the Menu.